Went to the pawn shop by my house to get the kids some wii games cheap and found this. It has seen better days, but for $300 it seemed like a good deal. 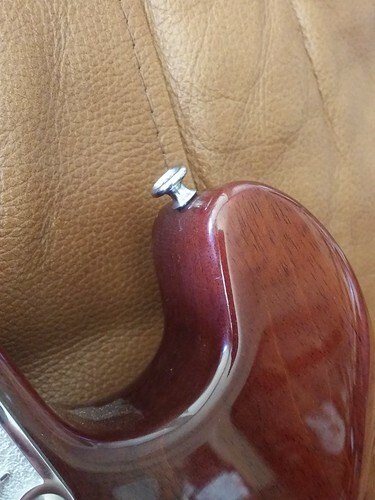 I am going to get a new guard made since this one is broken and put two singles in it. I might either do lace sensor singles or rails or something. 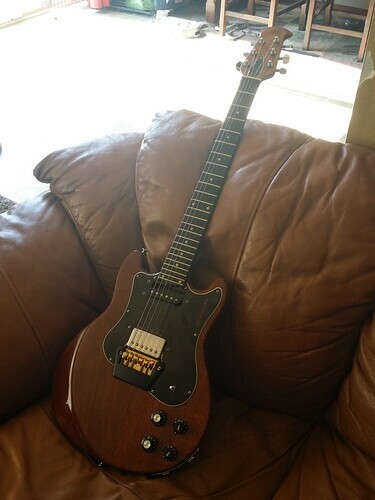 I like bright pickups like JB's and Super Distortions. 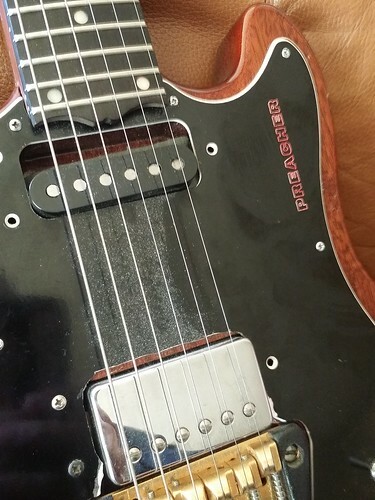 I also like Red Lace sensor pickups. Not sure yet and will have to wait for the guard. 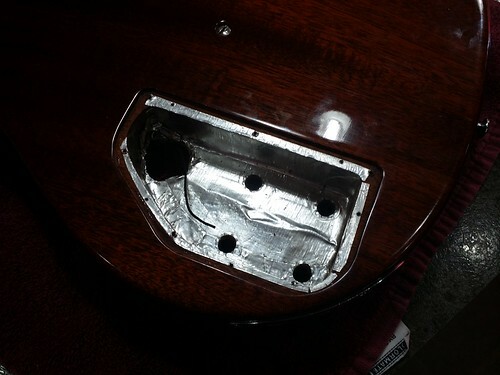 The knobs the guy put on broke the pot shafts so I am just going to put new pots and switch in to make it easier. 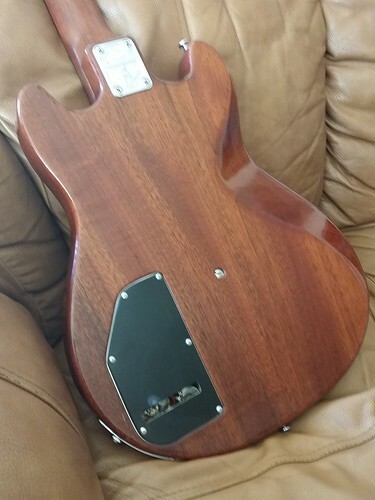 The neck on it is super nice. Thin and wide like the old Japanese necks I like. 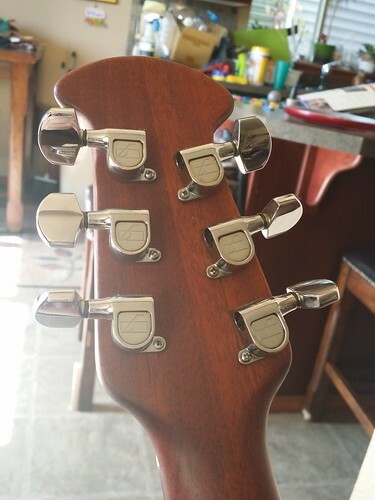 The strap buttons on these are the tiniest I have ever seen on a guitar. It even came with it's stock case. 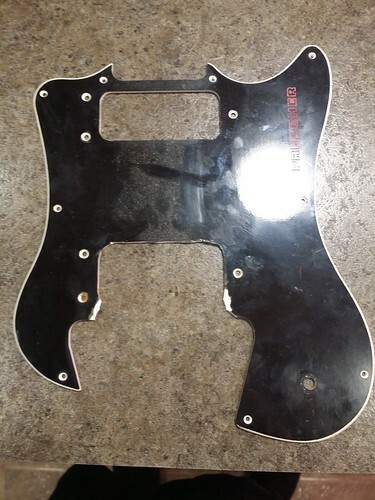 Pickguard is going to look kind of like this. Oooo I was just thinking of these the other day. 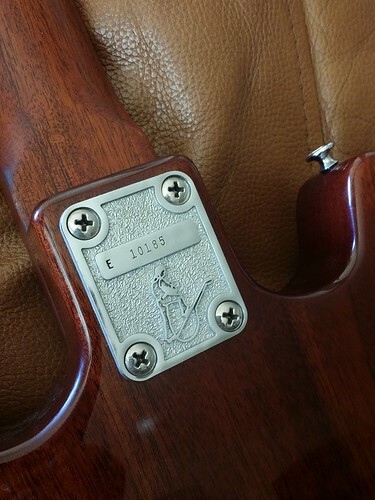 These were their Gibson SG/LP style guitar whereas the Vipers were their Fender style. 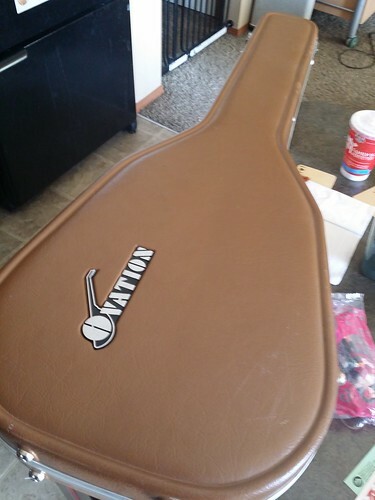 I have an Ovation Tornado that's pretty much been my #1 guitar for the last 10+ years. $300 is a pretty good deal, if you ever decide to sell or trade let me know. 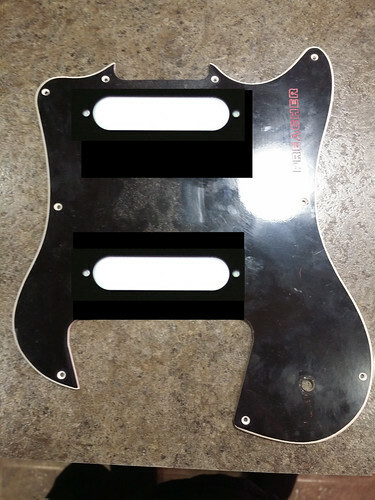 I would probably go with Gibson humbuckers on this or Filtertrons. That is very cool indeed. 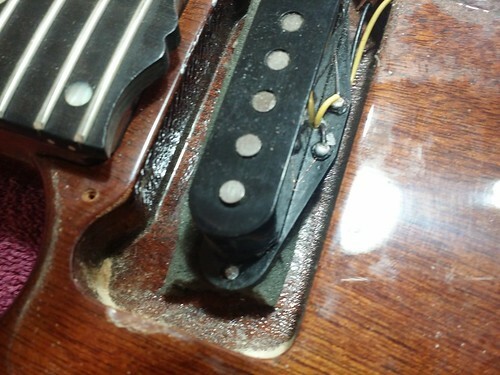 Think single coils might be a bit uninteresting in this guitar. 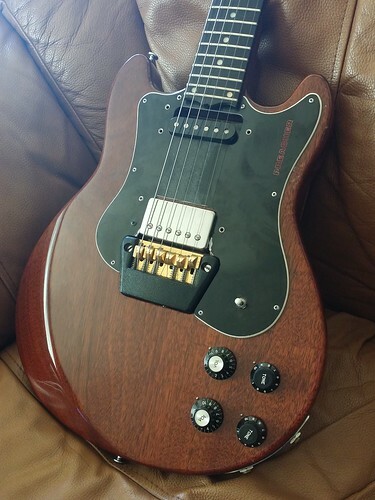 I'd probably go for mini humbuckers as they're kinda close to the original pickups. I like it in that colour though! 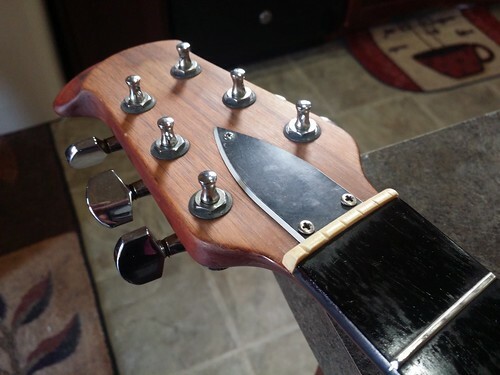 The logical compromise would be for you to double-P90 that bad boy. Right now I am leaning towards a lil 59 in the neck and hot rail in the bridge. I came up with this diagram. It isn't stereo, but I don't really see myself running stereo cables, so I thought this might be cool. Not sure if it would work, so let me know. 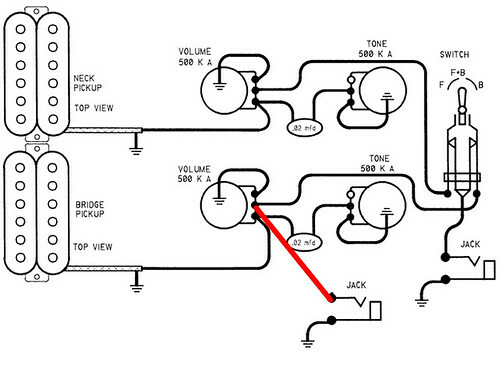 Basically the "mono" labled jack would be an normal jack where the toggle selects pickups. Volume and tone work as usual. 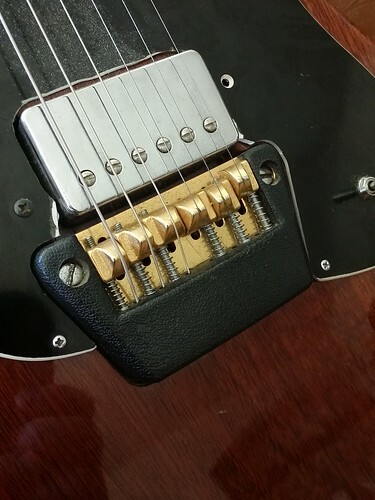 The "stereo" jack would just run the humbucker pickup only with volume and tone. 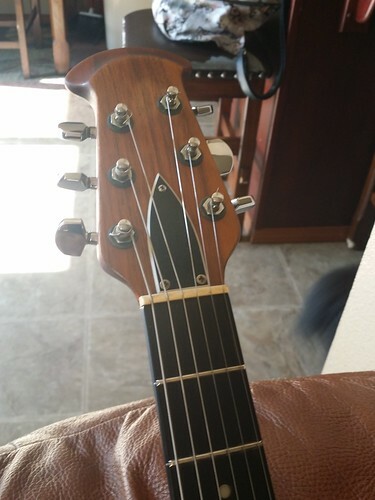 If I felt like running a second cable to a separate amp, it would just have the bridge while the other could also have bridge, neck, or both going at the same time. Should work, right? Yes. 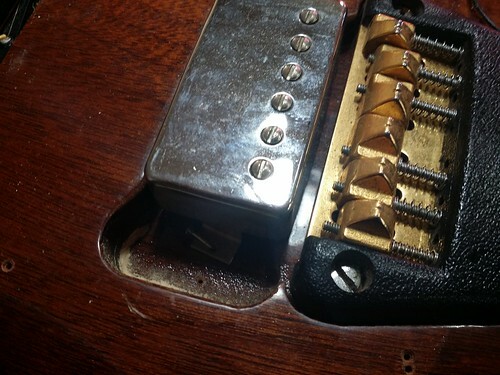 You may notice a volume drop on your primary amp when you plug into the second one depending on the input impedance and any buffering you may have in the chain. 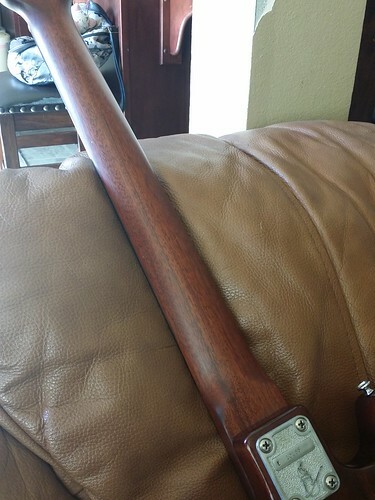 Yeah it has two stock inputs. IIRC on these models the necks are both glued and bolted. Neat! 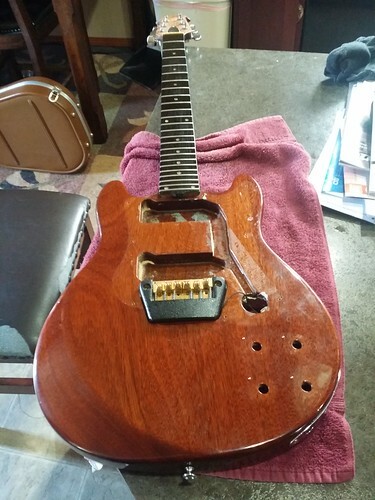 Did some work on the neck today. 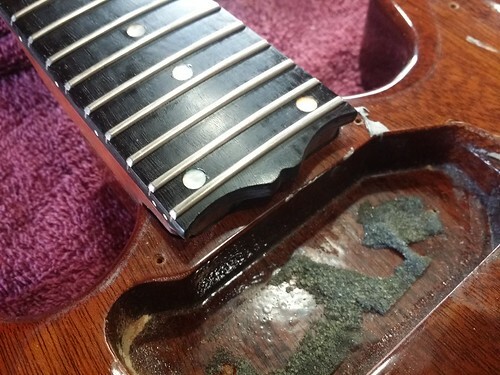 It has some dings, so I dropped some gorilla glue gel in to them and let it cure. Scraped the bumps more flat with a razor and then wetsanded it smooth. 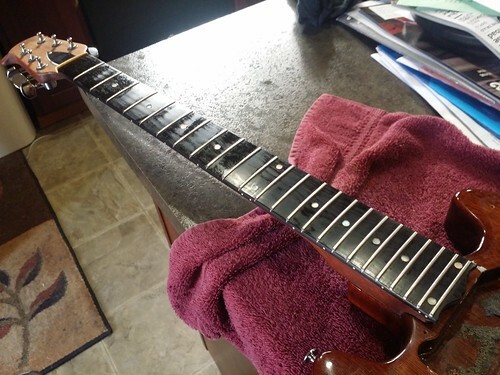 I also cleaned the fretboard.